I think I try to do the same, and I know many readers of these pages will also appreciate these words. I wondered whether this might be a quote. As so often, Google produced an immediate answer, and as so often, I ended up reading several interesting things and found myself some distance from where I started. 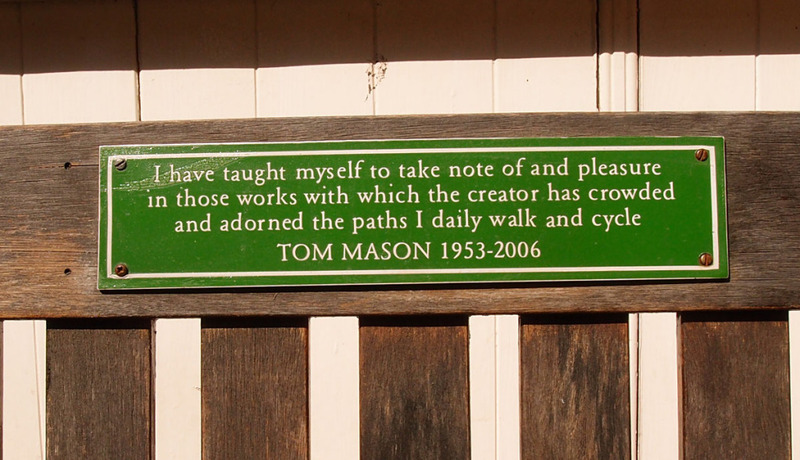 The plaque has ‘and cycle’ added to Johnston’s ‘daily walk’. Nice, isn’t it. Taking notice of this bench also drew me into taking more notice of Miller’s Yard in general, and so we’re staying here for the next page. Have a seat on this sunny bench. Tom and the other bakers would sit quietly eating, resting and reflecting. Customers glanced as they walked passed. The bench is not just a memory, ‘artisan baking’ came much later.tush Goodwin,mike brid and Andy russell created it in york. 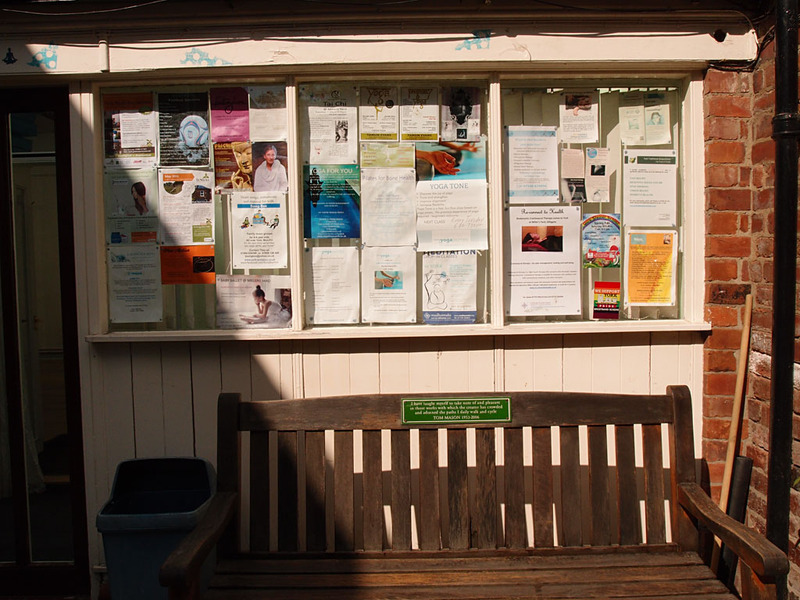 in their white overalls,on that bench,that’s how I remember gillygate…along with martin mike Andrew and Dylan!